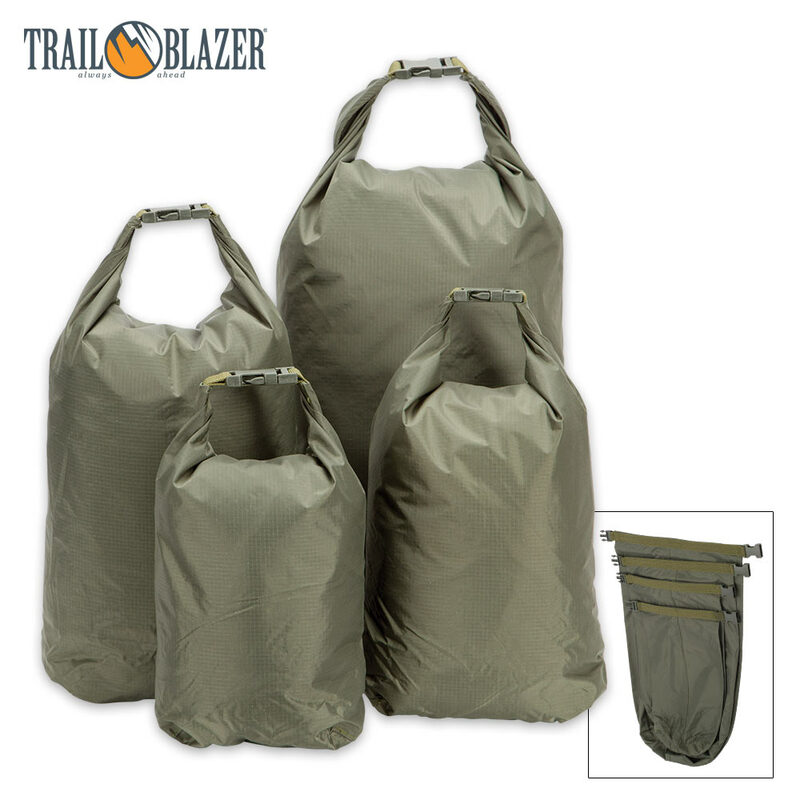 Trailblazer Dry Bags 4-Pack - XL, LG, MED, SM Sizes - Waterproof / Dustproof | BUDK.com - Knives & Swords At The Lowest Prices! Trailblazer Dry Bags protect important gear from harmful moisture in any weather, climate, environment or terrain, and this handy multi-size 4-pack makes it easy to accommodate and transport a wide variety of items - from tiny matches to bulky hiking boots and everything in between. Made from advanced 210D rip-stop nylon fabric with a resilient, hygienic PVC coating, each bag in this convenient set is virtually impervious to water when properly closed - and, fortunately, doing so is is a snap! Just roll the bag neck at least three times, then fasten the sturdy clip buckles. 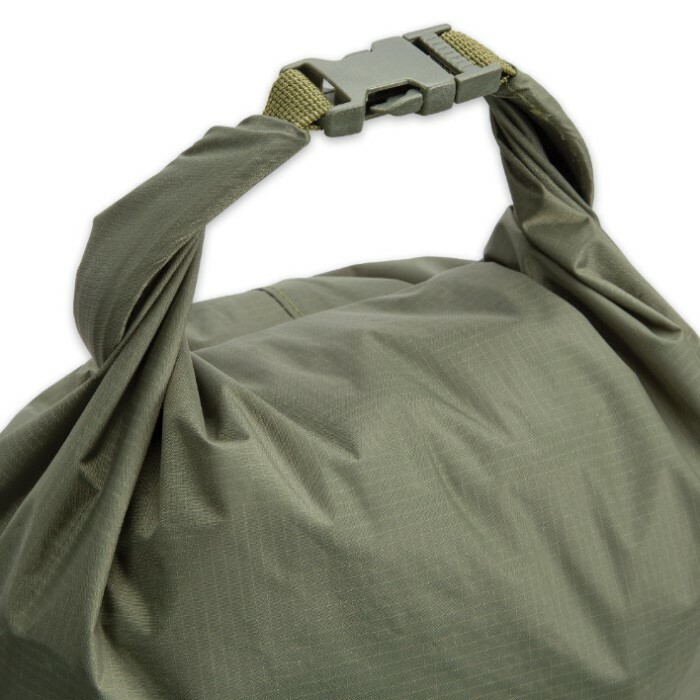 Each bag opening is lined with a 3/4" strip of polyester webbing, treated with a unique stiffener that yields a watertight seal when rolled over. The roll-over closure even doubles as a convenient carrying handle! Remarkably versatile, this flexible 4-pack allows for countless uses. The large bag is great as a rucksack liner, while the medium bag makes an ideally-sized pillow when stuffed with clothing, straw or any other soft material. Combined, the bags make perfect backpack dividers, and any of them can be used as a dirty gear receptacle or even a river-crossing flotation device. Of course each bag is also great on its own, as a general purpose dry/wet bag; the possibilities are truly endless! They're also extraordinarily lightweight, with a combined weight of less than 10 oz, and are easy to stuff into a pocket or pouch. 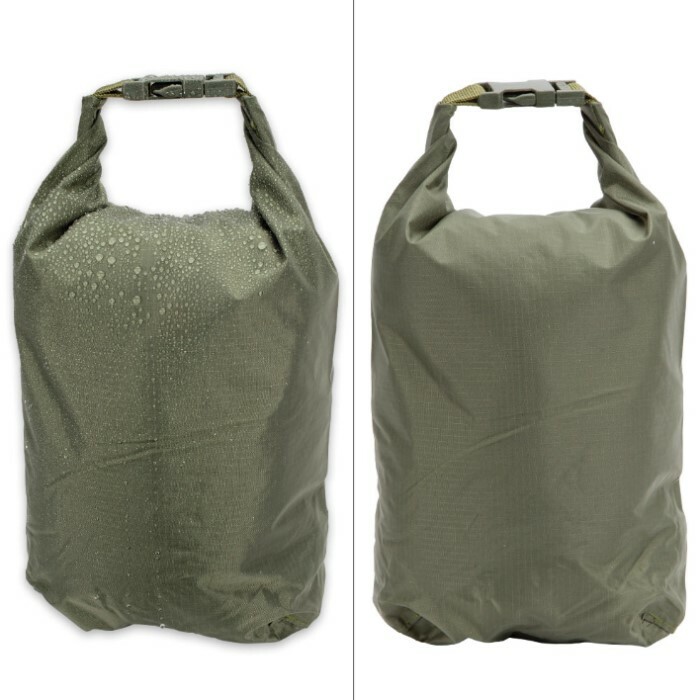 Severe weather; dank, humid climates; marshy or muddy environments; rivers, streams, lakes or sea - even the wettest conditions are no match for Trailblazer Dry Bags, and this handy 4-pack is an ideal all-around solution to your outdoor gear protection needs! EXTRA LARGE: 13-liter capacity, 16 1/2" high x 8 3/4" wide; LARGE: 8 liters, 13 7/8" H x 7 1/16" W; MEDIUM: 5 liters, 11 7/8" H x 6 5/16" W; SMALL: 3 liters, 9 1/2" H x 5 1/2" W.